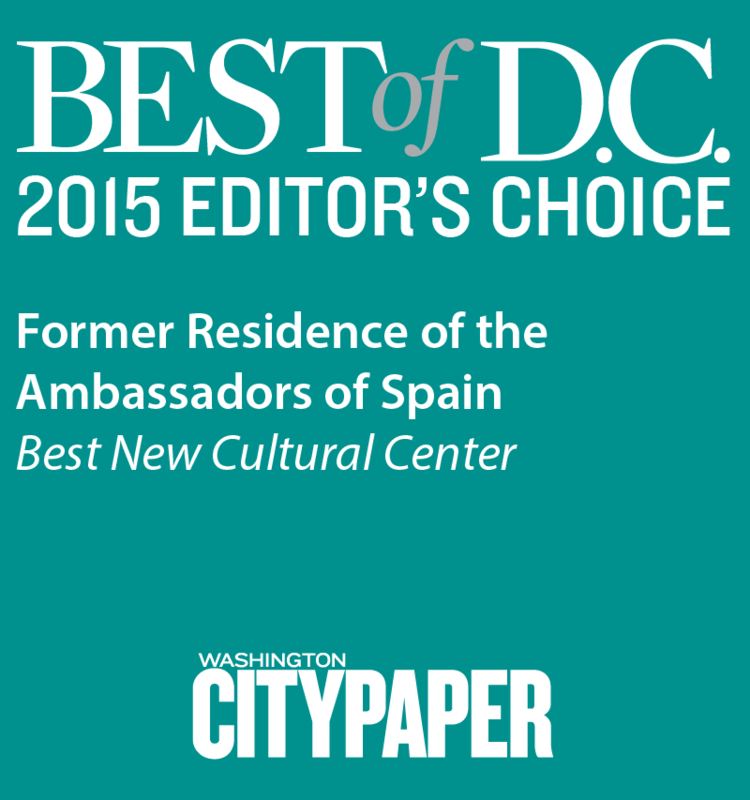 Established in 1999, the Spain-USA Foundation (SUSAF), a District of Columbia non-profit foundation, seeks to promote, support and develop a broad array of Spanish cultural, scientific and educational activities in the United States with the goal of furthering greater cooperation and dialogue between Spain and the United States. As a non-profit foundation with 501 (c)(3) status, SUSAF seeks donations and other contributions for parties interested in furthering its mission. The Spain-USA Foundation has assembled a distinguished group of leaders committed to supporting it in its campaign to establish the premier cultural center in Washington, D.C., the Spain-USA House. The Foundation’s Board of Trustees is chaired by David Vidal-Cordero, a prominent Spanish-American international corporate lawyer and community leader in the D.C. metro area. The Ambassador of Spain to the United States is the president of the Foundation and the honorary chairman of its Board of Trustees. Amigos de la Casa, a group of leading Hispanic organizations support the Foundation’s activities and mission, including the National Hispanic Foundation for the Arts, the United States Hispanic Chamber of Commerce, the Congressional Hispanic Leadership Institute, Inc. (CHLI), and many others. 16th & Fuller Streets. Mrs. Henderson's latest addition to 16th St. From the Library of Congress, Prints & Photographs Division, LC-DIG-hec-14450; Harris & Ewing Collection. Located in the 16th Street, NW Historic District, this magnificent mansion was designed by renowned American architect George Oakley Totten. When built, in 1922, it was part of a project conceived to develop the surrounding area as the center of social and diplomatic life in Washington, DC. The building was erected by Mary Henderson as a memorial to her son and with the goal that it become the official residence of the Vice President of the United States. Mary Henderson was the wife of Missouri Senator John B. Henderson, who introduced the thirteenth amendment to the Constitution that abolished slavery. Offered by the Hendersons to the U.S. Government as a gift, it was declined by the Congress due to concerns about the expense of its upkeep. 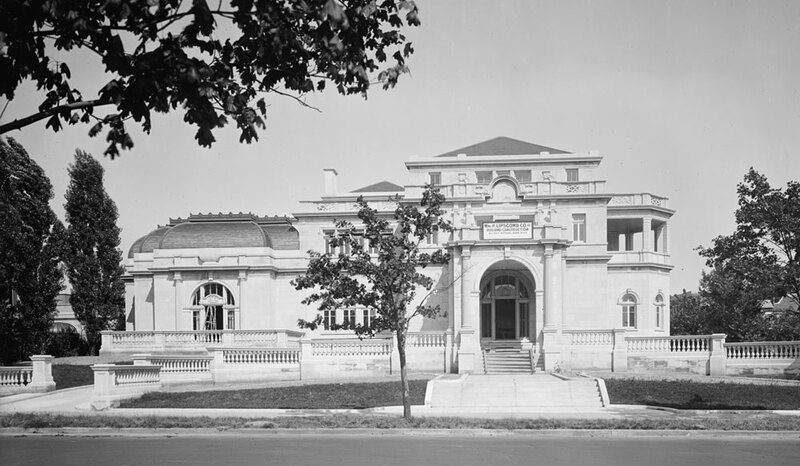 In April 2, 1927, the Beaux-Arts Mansion was purchased by the Government of Spain, as the residence of the Ambassador until late 1990s, when a new official residence was inaugurated on Foxhall Road. Presently the Spain-USA Foundation is diligently working with the Embassy of Spain to prevent further damage to this extraordinary house, and return this Washingtonian landmark to its original splendor. Interested in supporting the SPAIN arts & culture program at no cost to you? Amazon will donate 0.5% of the price of your eligible AmazonSmile purchases to Spain-USA Foundation whenever you shop on AmazonSmile. There are no grants available for residencies at this time. The Spain-USA Foundation, with support from the Ministry of Foreign Affairs and the Spanish Agency for International Cooperation and Development (AECID), is pleased to invite Spanish artists and cultural managers to apply for a SPAIN arts & culture residency grant in the United States for a period of three, six or twelve months. To be considered, projects must be developed in partnership with an already established U.S. cultural organization in order to promote Spanish culture in the U.S. Chosen applicants will be given an allowance to cover lodging, per diems and health insurance costs. There is no set deadline for submission, and applications will be considered as they are received.